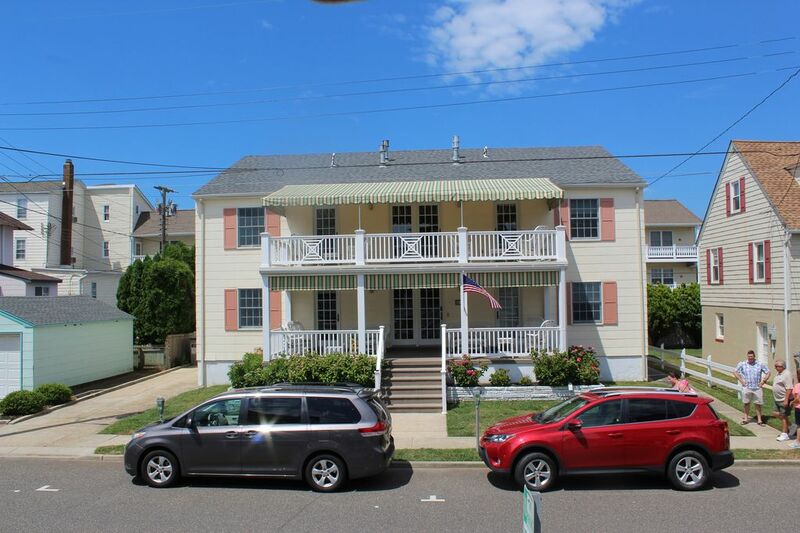 We are a family of five who love the ocean and love hosting others in Cape May. Hopefully you will enjoy it as much as we do. PARKING: We do allow loading and unloading in the drive but do not allow parking due to your car possibly getting blocked in. Non-metered parking is 200 feet away on the next block. Guests normally unload their car then park on the next street and leave it for the duration of their stay. The metered parking on our block is in effect every day from May 1 through October 31, between 10AM and 10PM. After 10 it is fine to park out front. 4 nights, 5 days - beautiful housing, great weather, wonderful place for a vacation! My sisters and I were at this condo for 4 nights - and we loved every minute of it! The apartment was clean and well furnished. Everything we needed was there for our use. The front veranda was so comfortable and provided a beautiful view of the ocean. We walked all over the area - finding everything we could possibly want! The only time we used our car was the day we visited the lighthouse - which was very easy to find. We had a GREAT time, and would do it again! Many thanks to Miss Carol for all her help ! Everything went very well, except for the weather! Such a fantastic location and comfortable condo. Great communication from owners. Will definetly come back again. Great location and pet friendly! Priceless! Our family stays here every time we vacation in Cape May. Close to the beach and boardwalk. Short walk to Washington street mall. Best of all it’s pet friendly! However you’d never know there were pets there previously. The apartment is always clean and tidy when we arrive. Carol is very accommodating when booking our rental and Burt the on site manager is very helpful if you need anything. We will definitely continue to visit with our family and 2 dogs! We are so glad that you enjoy our beach condo as much as we do. Thank you for staying with us each year! We were very comfortable in this beautiful home. It was awesome. We were very comfortable in this beautiful home. It was immaculately clean. The location was perfect. We could not find the DVD player but the weather was so beautiful we did not need it. Our dog Fuzzy enjoyed his stay as well. We are planning on returning again sometime.